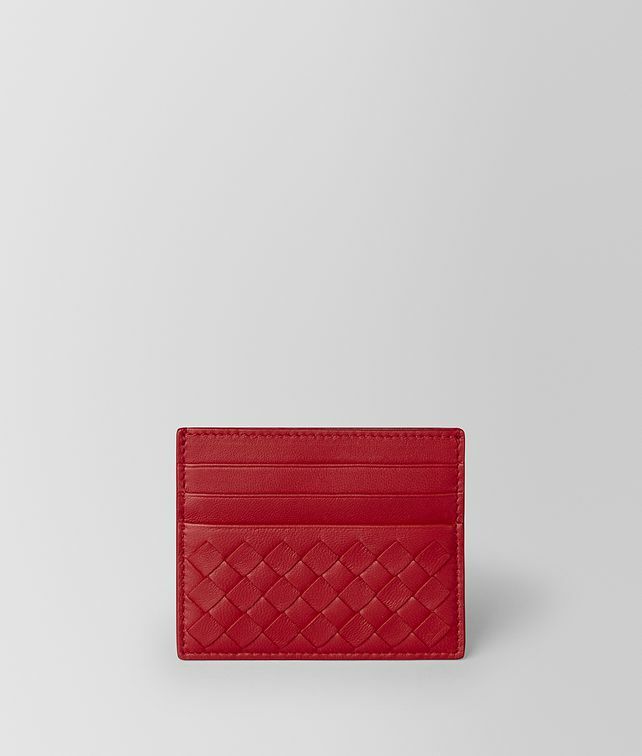 This slim card case is a refined essential for everyday, crafted from soft nappa leather in Bottega Veneta’s iconic intrecciato weave. The streamlined silhouette is complete with six card slots and a lined centre pocket for storing notes or receipts. Height: 8 cm | 3.1"
Width: 10 cm | 3.9"
Depth: 0.5 cm | 0.2"